If you're looking for a new and unique nightlife experience in Austin, check out Monkey Town. This cinema concept has you sitting inside a massive screened cube, watching art films and eating a five-course dinner from celebrated Austin chef Sonya Coté. Monkey Town started in New York in 2003, in a private loft in Brooklyn. Emphasis was on video art from emerging artists, along with live music; the dining was added later. After running for 10 years in New York, Monkey Town opened in Denver and then Barcelona before coming to Austin in November 2015. 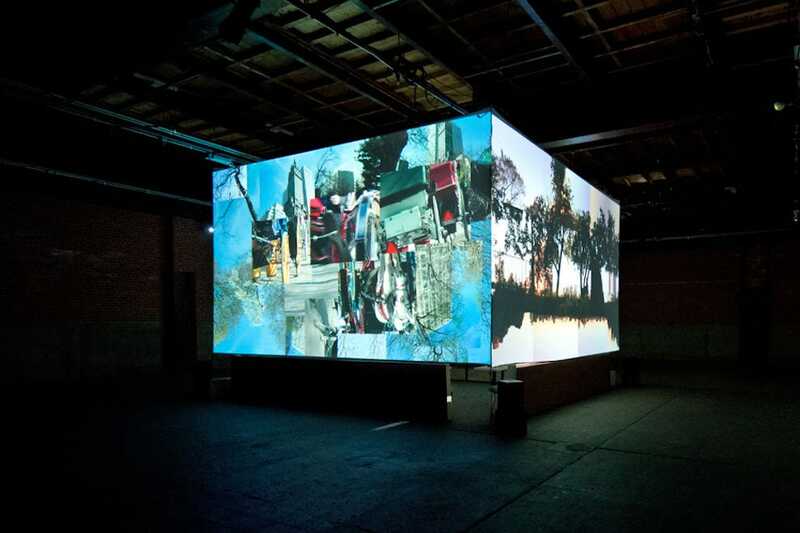 The video program is two hours long, during which you are sitting at rectangular dining tables inside a screened cinema-in-the-round – a floating cube of four large projection screens, with 4.1 surround sound. 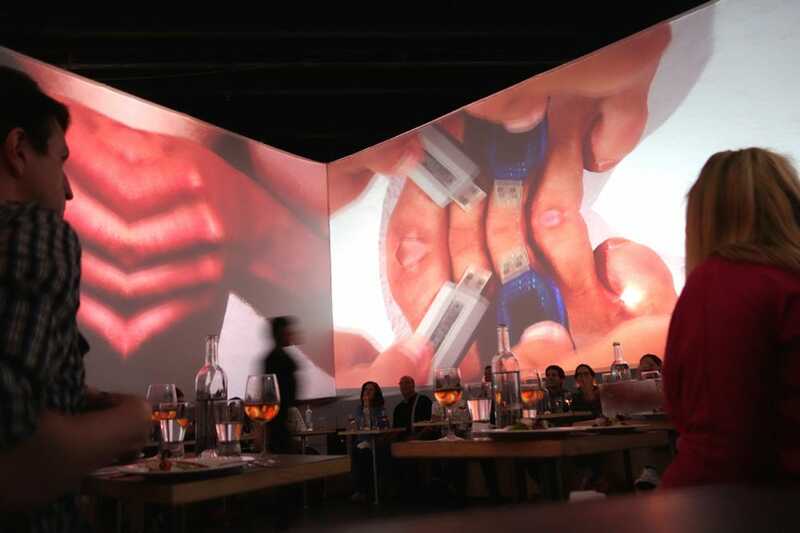 While eating a four- or five-course gourmet meal with wine pairings, you watch the curated short films and videos from 16 artists and filmmakers from around the world. There are 40 seats per showing, and late arrival may result in denied admission. While the emphasis is on the cinema experience, there is more leeway for quiet discussion than there is at a traditional film theater. Every night also showcases weekly performance residencies by Texas and national artists. They perform inside the cube, halfway through the program, accompanied by video. 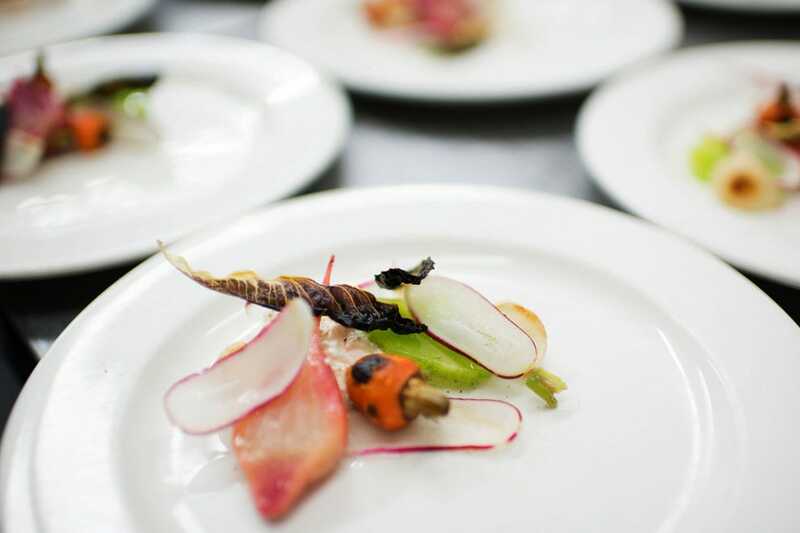 Chef Sonya Coté (of Eden East and Hillside Farmacy) has created 4- and 5-course menus including vegetarian, vegan and gluten-free options, with nearly every ingredient sourced locally. Menus will be periodically changed through the run, as seasonal ingredients become available. The Austin venue is in a warehouse space on the east side that used to be occupied by the Balcones Recycling Depot. It has been vacant for some time and used for various temporary events; though Monkey Town is likely to be the last thing held in the space before it's demolished. The show is curated by Montgomery Knott (a former Austinite), with assistance from Mary Magsamen (Aurora Picture Show) and Zac Traeger (Museum of Human Achievement). The Contemporary Austin is a cultural partner. As Knott says at the beginning of a performance, audience members may love some of the video, hate some of it, be bored by others; but they are each only minutes long and will be replaced by something different. The point is to feel something, even if it's dislike or apathy and to appreciate unique works of art. It's certainly like nothing you've ever experienced before. And why the name Monkey Town? Screenwriter, poet and actor Eugene Walter was the inspiration. As co-launcher of the Paris Review and an actor in Federico Fellini's 8-1/2, he was known as the "Monkey Prince" due to his poems about monkey gods. Special offer: Monkey Town just released specially priced $51.20 tickets for all remaining seats on Wednesdays, Thursdays and Sundays in December (excluding New Year's Eve). Use the promo code monkey512 at the website for the discount. Shelley Seale is an Austin writer and fan of both films and food. While she wasn't sure what to expect when walking into the huge warehouse and confronted by a giant cube, she was a huge fan of the uniqueness of the experience. 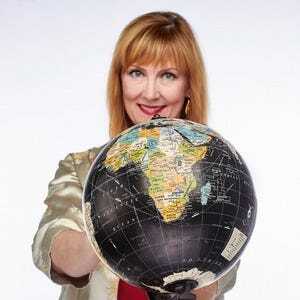 Read more about Shelley Seale here.